1. The Con: Larger Dairy Farms and Cattle farms may face some struggles. Two key laws this summer kicked California’s climate change fight into high gear in the recent election season. The heightened fight against climate change in the state of California could cause some harder times in terms of change, especially in agribusiness where cows are concerned. California is using these laws to set into motion a goal of reducing greenhouse gases by 40% below 1990 levels. While no one is exactly sure what that will entail, it is clear that agribusiness may legally have to figure out new ways to operate to meet these goals in the coming years. Dairies are also bracing for a difficult future, said Anja Raudabaugh, executive director of the Western Dairymen’s Assn. Just this year, 53 dairies have gone bankrupt, left the state or simply closed their doors, a trend likely to accelerate, she said. “There is no way we can manage the reductions they want,” she said. 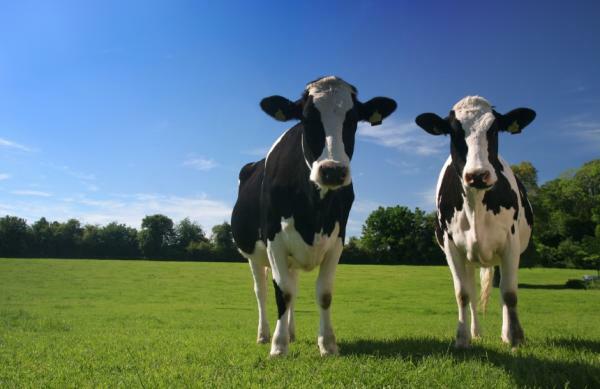 Dairy herds produce roughly 10 million metric tons of the greenhouse gas methane each year, a consequence of cow flatulence, burping and manure. Under SB 1383, that has to change. These forthcoming changes seem most likely to hit larger operations, but whenever smaller ag operations feel unsettled in the industry, it’s a good opportunity to check in with them and make sure they have the agribusiness insurance coverage they need in otherwise uncertain times. A new water bill has been sent to Washington which could provide an influx of water resources to formerly drought-stricken small farms throughout the state. This could enliven the struggling agriculture industry, and for you, it’ll again provide growth in an industry which needs agribusiness insurance. A rough five years in the making, the $558 million bill approved by the Senate early Saturday morning steers more water to farmers, eases dam construction, and funds desalination and recycling projects. With highly technical but important language, the bill also directs the pumping of more water to farms south of the Sacramento-San Joaquin Delta and seeks to ensure that Sacramento Valley farmers receive all of their allocated water. “This water is for the tens of thousands of small farms that have gone bankrupt, like a melon farmer who sat in my office with tears in his eyes,” Feinstein said. We have several carriers to cover your every need! Submit your Agribusiness risk HERE today! Click HERE to chat online with an account manager.